North Road School (from a postcard in my collection). 1662 The first mention that I have found that mentions the school was when Anthony Swann, in 1662, bequeathed £4 a year for teaching ten children in 1693, Rowland Swann left a trifling sum for books and in 1771, the commissioners of enclosures allotted land of the annual value of £10, in augmentation of the master’s salary. The Swann family remembered in St Peters Church including Joseph Swann, Headmaster & Rowland Swann benefactor of North Road School. (The Scroll was removed from the Church in 1959 & re-hung in 2012). 1804 14th October Joseph Swann was baptised at St Peters, he was the son of Joseph & Grace Swann. 1841 Joseph Swann was 35yrs old, on the 1841 Census he is given as living in Fairfield Village and his occupation is School Master, (this school pre-dated North road School). 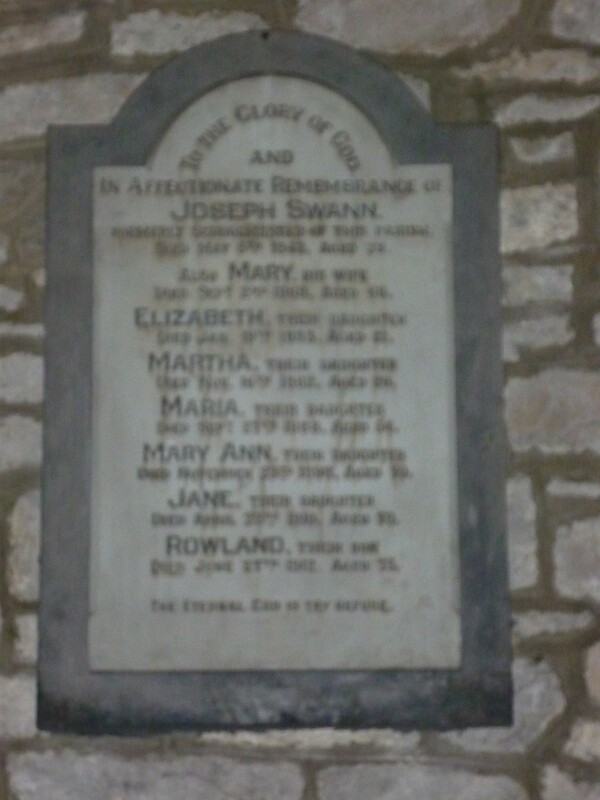 Joseph is living with his wife Mary, daughters Mary Ann 12, Elizabeth 10, Maria 7, Jane 1 & son Rowland aged 4 (Rowland a later benefactor of St Peters was christened on 10th November 1836). Joseph died in 1843 at the young age of 37. What follows are some extracts from ‘The Spirit of North Road School – Fairfield’ by David G Owen, copy available to read @ Buxton Library 914.251, I have put them in date order for ease of reading along with extra information from Kelly’s directories and further research. 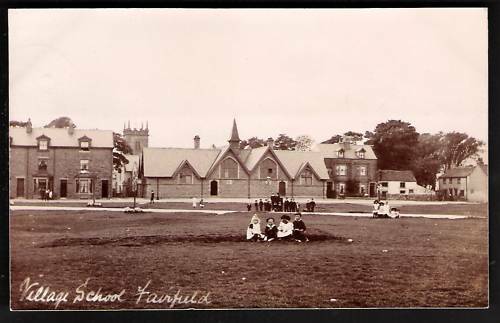 Until 1907 & the opening of the new school on what was Queens Road, both the infants and juniors of Fairfield were sited at the North Road School. 1834, Joseph Swann, of whom little is known was born in Fairfield in 1806 he was the Village Schoolmaster in 1834. In the 1841 Census returns he was listed as Schoolmaster living in Fairfield Village with his wife and children, all of whose names can be found on the newly erected memorial tablet. Joseph & his family are on a memorial tablet hung in St Peters Church. 1875, On February 12th J Christie took charge of Fairfield Infants’ School. Originally it occupied three rooms and a gallery. The first entry in the logbook states that the children were given exercises in singing and marching. The vicar of Fairfield, Rev Charles Smith, was a frequent visitor and he also taught the children many songs. 1879, The first headmaster of North Road School was Mr G A Ferraby who took charge on 31st March. His wife taught the infant children. With the passing of the 1880 Education Act and the introduction of compulsory education there was an obligation on parents to ensure that their children attended, followed up by disciplinary acts for regular offenses. In the early years there were many examples of of truancy and many recordings of corporal punishment for insolence and truency. 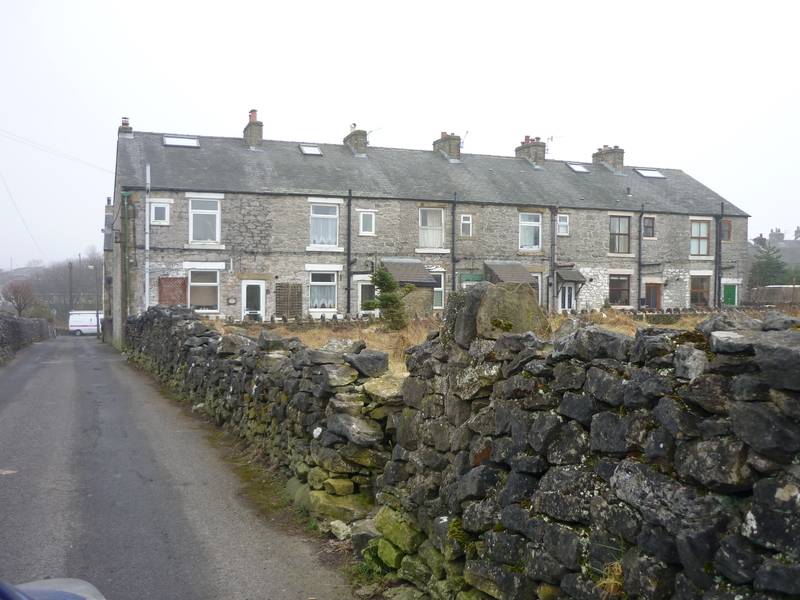 Mr Ferraby was obviously frustrated as in 1880 he wrote that ” there are many children loitering the streets who are not attending any school and yet no steps are taken by the local authority in Chapel-en-le-Frith to address this matter. 1883, In February William Henry Scotter became the Headmaster. He was very strict and in the school log books there are many incidents of corporal punishment, in fact Mr Scotter spent a great amount of time caning the children. On October 1st Miss S A Bramwell took charge of the infants. She had many difficulties, mainly the reluctance of the parents to send their children to school. It is fair to mention that some of the children attending the school and particularly the infants were under four years of age. On her appointment she found the children in a backward state and the handwriting in school was bad. Thursday 29th November saw the first of many concerts was performed to raise money for the school, admission was 3d for Front Seats & 1d for Second Seats. The 1880’s were most marked for the series of epidemics that swept the area. The teacher reports that she opened the school, after the medical authority had closed it for a period of three weeks, through a local epidemic of scarlet fever. 1884, the school was faced with another outbreak, and in 1889 measles had reached epidemic proportions. Parents were very reluctant to send their children to school during periods of bad weather. Attendance at the school in February 1889 was only 84 children. Social conditions in Fairfield were very poor during the late 1880’s. The teachers involved the NSPCC on a number of occasions to visit the parents of children who the teachers thought were being ill treated. Families living at Nall’s Buildings off Queens Road, New High Street, Heaton Row and Ashwood Road were visited. 1888, Mr Scotter Headmaster left and John (Daddy) Souden became the new Headmaster. John Souden was 27 when he was appointed and he maintained a regime of strict discipline continuing the somewhat draconian tradition of punishments. His wife Maud also taught at the school. John Souden reports at length the disappointing attendance in the school and commentated that the boys in the higher classes were backward and blamed the teachers for not looking after their own classes. School attendance was down to only 74 children. Evidently it was not just the children who felt the wrath of Mr Souden, Miss Margaret Ford an uncertified teache, was severely reprimanded for leaving the stationary cupboard open. In 1892 H M Inspector of Schools made recommendations that the gallery in the school be up-dated for the babies. A whooping cough epidemic, kept children from the school, from February until may 1892. Charles Warrington was absent suffering from rheumatism on the head! The school inspectors and trustees visited the school on a very regular basis and commented on the problem of truancy and took steps to ensure that truants were punished. The first infant to be punished was John Newsome in September 1892. On the 1st February 1892 John Souden’s daughter Maud started school she was nearly 6 years old. Truancy remained a problem. In summer, children were employed in haymaking and some stayed away from school spending their time waiting to be chosen as caddies for members of the local Golf Club. John Souden approached the Golf Club members in an attempt to address the truancy problem. An incentive was agreed: when a caddy was required the headmaster would send one as long as none were employed who were just standing about during school hours. The scheme failed after a few months. When William Findlow stayed away from school to caddy he was, on return given the strap. 1893, J Gerrard was punished for playing truant. ” The attraction of a caddy’s life is too great for him to withstand,” Souden recorded. 1895, February saw the worst snowstorms and freezing weather on record. Three feet of snow fell on North Road and 40 degrees of frost were recorded. No thaw was seen until the May. the bad winter was the reason for many absences of both children and teachers. Children had broken chilblains, colds and influenza. The only heating in the school at the time were two open fires. In order to keep the school warm the doors were not allowed to be open until 9am. 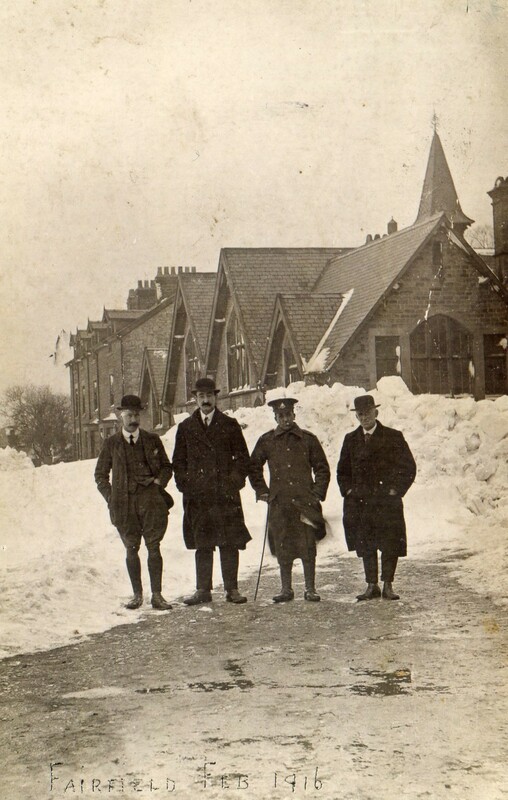 Also in 1895 the school was closed for nine weeks so that the building could be extended. Classes were transferred to the Wesleyan Schoolrooms on Fairfield Road. Class 3 was removed to the local board offices, Fairfield Town Hall on Waterswallows Road. Upon re-opening the total number of pupils was 220. The cost of the extension was £1.100 in total it could now educate 450 boys & girls, the average attendance was 333 pupils. Income from the school was about £227 per year. Children were cautioned not to sharpen their pencils on the front wall of the school and offenders were punished. 1896 John Souden’s 2nd daughter Ethel started the school she was nearly 8 years old. 1899, The Inspectors report of June stated that the school was uncommonly crowded and that there was an urgent need for additional accommodation. He recommended that a new infants’ school should be built utilizing the existing building for the older children. 1900/1, The school trustees proposed to enlarge the existing school. However by 1901 it was realised that North Road School was not the ideal site on which to extend. 1904, The inspector’s report again and again called for another building; this is clearly evident in the following report: His Majesty’s Inspector of Schools Report, 7th June 1904, Infants’ School. “In spite of the overcrowding the school has been conducted in a spirited and efficient manner. Now that the first standard (One school year) is to be removed from this department the overcrowding should be reduced. Needlework is reported to be very good!” Signed: W J Meggs. There was also no heating system and the only source of heating were two open fires leading to the rooms being unevenly heated. On the 20th February Miss Bramwell, the Headmistress, read to the boys in Standard 1 an article from the Sunday School Magazine, which detailed the effects of smoking on children. There had been many reported cases of tobacco blindness. 1905, staff were S A Bramwell, M Parker, C A Wilson, M J Green, E M Souden, I Wheatley, F B Wooliscroft. 1907, a recommendation was received from the Inspector of Schools to segregate the classrooms to preserve heat and “create a more pleasant circumstance than had been the case”. This provided eight seperate rooms by means of sliding partitions. With the opening of the Queens Road school some infants moved to that site relieving congestion at the North Road School. Later in 1907 a new infants school was erected with an average attendance of 200 children. John William Souden, master. Miss S A Bramwell, infants mistress. Charles Slater, clerk. 1913, Three Scholarships were awarded to Hetty Newton, Nelly Hall and Annie Weston to attend Cavendish High School. Headmaster John Souden: John William Souden was born in 1862, Stickney, Lincolshire. 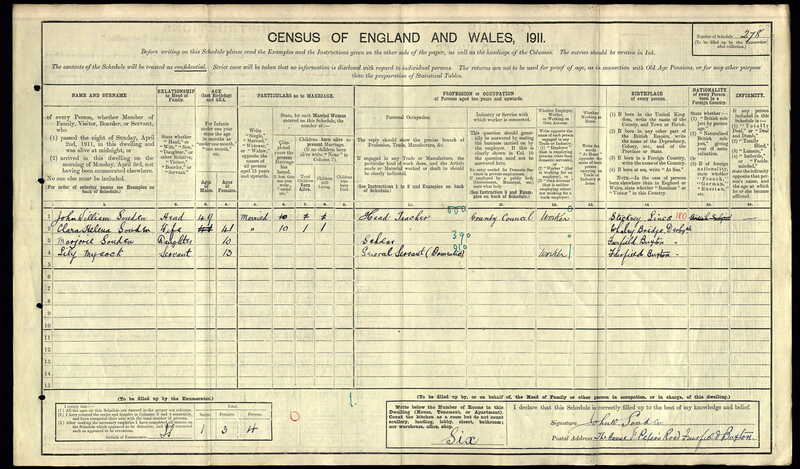 He was the Headmaster in the census of 1891, 1901, 1911. He lived at The House, St Peters Road, Fairfield with his family. John remained in the house until his death 5th April 1939 aged 77. 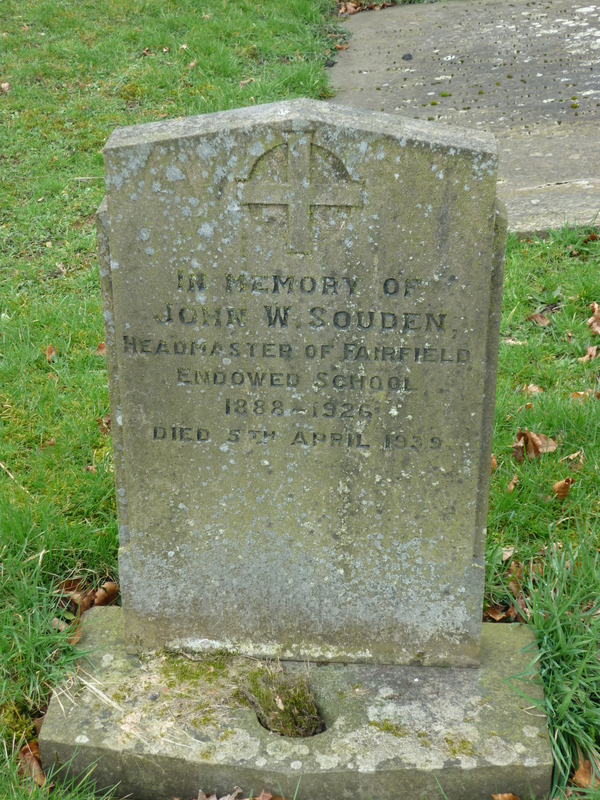 Most of the ‘Fallen’ attended North Road School and would have been taught by Mr Souden. He was buried at St Peters Church. During his time at the school he had close ties to High Peak Golf Club & would often provide boy’s to be Caddies during the school day. 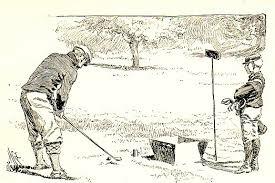 Boy’s would also often play truant from school in order to Caddie for the Golfers. Mr Septimus Hall was the School Attendance Officer during this time. Even during War time families were still taken before a court when they failed to send their children to school. The cases normally went first to the School Attendance Committee, if the matter was not resolved the case went before the Magistrate. A fine would be imposed on the parent which was typically 10 shillings, quite a sum in 1918.